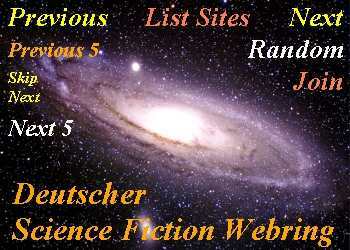 Welcome to the Science Fiction and Fantasy pages of nrw.co.uk! Perry Rhodan is one of the greatest phenomenons in the history of Science Fiction. Keep up to date with developments in Segafrendo and other distant galaxies! Who is Perry Rhodan? Team Rhodan International tells us: "Perry Rhodan was born on June 8, 1936 in Manchester, Connecticut, the son of Jakob Edgar Rhodan (a German who emigrated to the United States after World War I) and Mary Rhodan (nee Tibo). After graduating from the US Air Force Academy, he began a career as a pilot. On June 19, 1971, Perry Rhodan, now a major, took off as commander of the atomic-powered spaceship Stardust on the first manned Moon landing expedition. He reached the Moon with three other astronauts, among them his best friend Reginald Bell." Perrypedia tells us: "Perry Rhodan is the largest science fiction book series worldwide with more than two billion copies sold within the last fifty-five years." 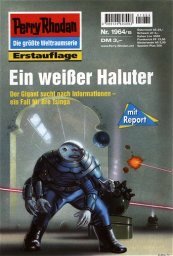 It is a science fiction book series which is published each and every week by Pabel-Moewig Verlag KG, a subsidiary of Bauer Media Group. Wikipedia tells us: "As of April 2016, more than 2850 booklet novels have been published ... it is the most successful science fiction book series ever written." What do I like about Perry Rhodan? He takes us along his journeys into deep space. The action is set in really distant galaxies. No other sci-fi series comes even close. In STAR TREK, the U.S.S. Voyager is ridiculously slow. Voyager needs seventy years to cross a mere 70 000 light years. Perry Rhodan is very different from that. He visited the Andromeda nebula in issue # 250, and since then, he has seen countless other galaxies, too. Reading Perry Rhodan gives me a feeling of the greatness of the universe and, in that sense, of the greatness of God's creation. On July 20, 1969, Neil Armstrong landed on the moon. Click here for a summary of this historic space mission. In the 21st century, space travel seems so routine and natural. However, in the 1960's, it was all a huge mystery. The original Perry Rhodan novels describe Venus as a tropical planet where dinosaurs thrive. K. H. Scheer depicted Major Perry Rhodan instead of Neil Armstrong as the national hero who made this historic trip to the moon. That is the basic plot of the very first Perry Rhodan novel. Because it's a Science Fiction series, Perry Rhodan met some Aliens on the moon, the Arkonides. The official Home Page www.perry-rhodan.net features an excellent English introduction to the series. Wayne Schmidt, Eleston Broome and Captain Nemo wrote their own introductions to the series which are also worth reading. Please bookmark this site and come back to nrw.co.uk after you have explored these other fine English Perry Rhodan sites. nrw.co.uk offers information about Perry Rhodan in English and is especially designed for international visitors. This site is a non-commercial venture. This site has no commercial relationship with the publishers of Perry Rhodan or the producers of related merchandise. You cannot order books from this site. If you want to buy English books that are currently in print, we recommend amazon.co.uk or amazon.com. It is the purpose of this Website to keep international readers around the world informed about Perry Rhodan's cosmic adventures in the distant galaxies of the Perryverse. If you click on the left image at the top of this page, you'll find a detailed and in-depth analysis of a current Perry Rhodan novel. Some of these reviews are written in English. We put a flag beneath the image to specify the language of the review. 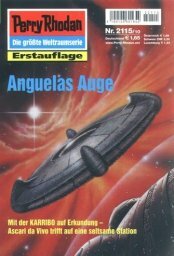 According to Wikipedia, the first 126 novels (plus five novels of the spinoff series Atlan) were translated into English and published by Ace Books between 1969 and 1978, with the same translations used for the British edition published by Futura Publications which issued only thirty-nine novels. When Ace cancelled its translation of the series, translator Wendayne Ackerman self-published the following nineteen novels (under the business name ‘Master Publications’) and made them available by subscription only. Financial disputes with the German publishers led to the cancellation of the American translation in 1979. That was a long time ago. I had the great pleasure of meeting Wendy Ackerman in person when I came to the United States for the first time. (I was fifteen years old then.) Some of the original ACE books are still available on eBay, and it is also very probable that some of these old translations are still circulating on the Internet. If you want to learn more about Perry Rhodan, you should positively go to www.perry-rhodan-usa.com. It's simply the best Rhodan site on the net. Highly recommended! I especially like the summary of the first decade of Perry Rhodan novels. For Perry Rhodan friends all around the world, it is excellent news that www.perry-rhodan-usa.com is back online! Congratulations! All the good stuff is back again. At the beginning of the new millenium, the American site was temporarily offline. I found a copy of the Main Characters page on my hard disk and decided that I would put it online right here at www.nrw.co.uk. John Foyt was kind enough to grant me permission to keep this file on this server. Thank you very much. As many regular visitors to this site may have noted, nrw.co.uk/Perry Rhodan has not recently been updated. If you want to find out what our space hero is doing right now, it's probaly your best bet to go to the German language Perrypedia page Die Jenzeitigen Lande and get an online translation. For many years, Perry Rhodan Fans from all over the world used to meet in the Usenet Newsgroup de.rec.sf.perry-rhodan. However, it seems that, as of lately, this formerly very active discussion group on Usenet has lost its appeal. Nobody has shown up or posted anything in the last three month. What a pity! Sponsored by VPM, there's also an official forum. This has a small, but very nice international section. The most active contributor to the English Forum is Jerry Schneiderman, one of the moderators of the English Yahoo Perry Rhodan group. Jerry Schneiderman also has his own Website on the Internet: www.perryrhodan.us. This site provides you with an excellent summary of all the story arcs in the Perry Rhodan universe. 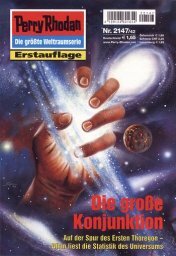 Be sure to read the latest synopsis of the (German) Perry Rhodan novels which Jerry is currently reading. Of course, you can find his contributions directly on the Yahoo group, too. However, now that Yahoo has been sold to Verizon, I'm not sure about the future of the Yahoo groups. On August 1, 2016, Jerry added a synopsis of novel 2636 Pattern of the Universe to his own Website, to the Yahoo group and to the official Perry Rhodan Forum as well. This text is basically a translation from the German Perrypedia entry Das Schema des Universums, but I still think that it is very helpful that readers who do not speak German now have access to this information. Thanks a lot, Jerry! Michael S. Smith is a Professor of Geology in North Carolina. He obviously inherited a collection of Perry Rhodan novels from his uncle, scanned all the cover images and put them on his Website. Take a look at the ACE Image Library. 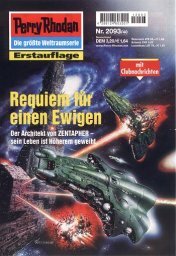 Fritz Freiheit is an author who lives in in Ann Arbor, Michigan, and who has taken up the formidable task of hosting a lot of content from the Perry Rhodan Wiki. 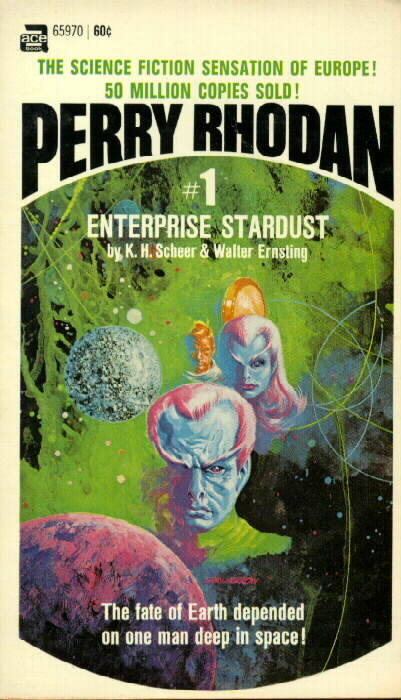 On this Wiki, the plot of the very first novel Enterprise Stardust is described as follows: "The series begins with the first manned moon landing (in 1971) led by U.S. Space Force Major Perry Rhodan. However, things do not go as planned and the astronauts discover a stranded alien spaceship from a star system called Arkon and its crew who need medical help." You can also find this brief and very basic introduction to the Perry Rhodan universe in an article from Amazing Stories and, in a fairly similar version, on the All the Tropes Wiki. Also worth reading: Michael R. Brown's introduction to Perry Rhodan - Peacelord of the Universe. nrw.co.uk is proud to host the Story Archives for Perry Rhodan Fan Stories from all around the world. nrw.co.uk is an international site. Wherever you are, whatever language you speak, you are welcome to post your stories here. Top of this page - Webring - Why do I like Perry Rhodan?